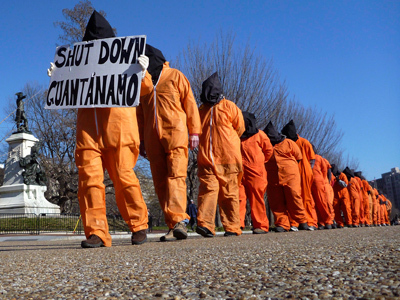 Protests have marked 10 years since the first prisoners were sent to America’s most controversial prison – Guantanamo Bay, Cuba. Barack Obama's promise on his first day in office to close it down remains unfulfilled. And that promise never rang more hollow than last month, when he signed a new law allowing the indefinite detention of terror suspects. 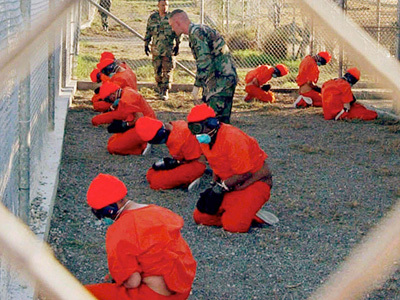 Wednesday, 11 January 2012, is probably just another day for the inmates of Guantanamo Bay. They may not even know that people around the world are campaigning for them. But as far afield as London, demonstrations are held to demand the release of the 171 men still held without trial in the Cuban camp, some for the entire 10 years. 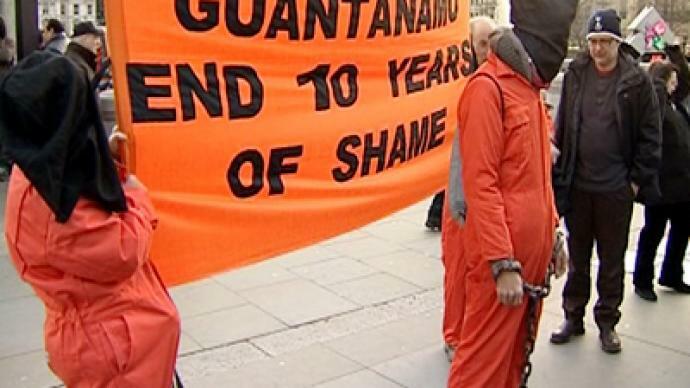 One of those men is Shaker Aamer, who has earned the dubious distinction of being the last British resident held in Guantanamo. He was in Afghanistan on 9/11, he says doing charity work, digging wells and building a girls’ school in Kabul. When the US invasion began, Aamer went into hiding from an increasingly wary Northern Alliance. But his freedom did not last – Shaker’s supporters maintain he was sold for a bounty. And there he has remained, despite President Obama’s original election pledge to close Guantanamo altogether, despite being cleared for release, and despite being a legal permanent resident in the UK, with a family in London, which includes one son he has never even seen. 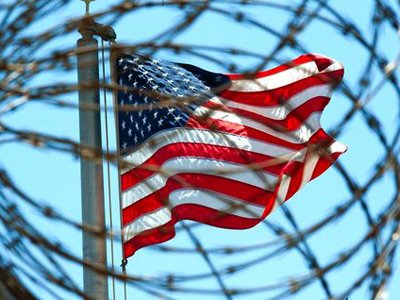 And far from moving closer to being freed, Shaker’s supporters see worrying developments in the US’s attitude to extra-judicial detention. 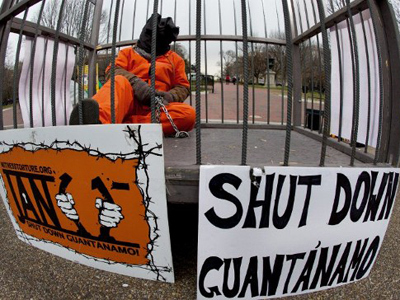 Obama recently signed the National Defense Authorization Act, which places domestic terror investigations into the hands of the military, and extends a ban on transferring prisoners out of Guantanamo. The British government has requested the release of Aamer, but there has been no movement on the case since 2007. Meanwhile, as his family grows up without him, he lives out his life in a tiny windowless cell, not knowing if he can ever expect to be released. 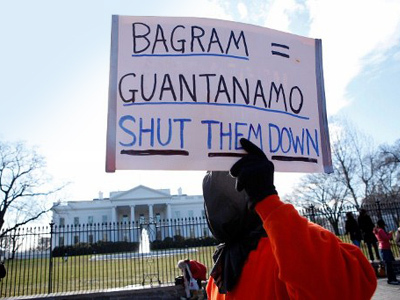 While hundreds may have protested against Guantanamo prison in the US, investigative reporter Jason Leopold told RT that the majority of the public tends to ignore an issue that stains their country's reputation.